Fri, Feb 8, 2019, 10:49 am SL Time, ColomboPage News Desk, Sri Lanka. 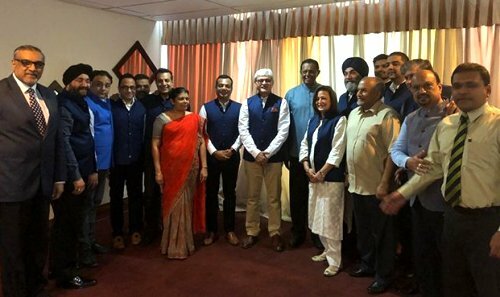 Feb 08, Colombo: The Executive Committee of the Outbound Tour Operators Association of India (OTOAI), comprising 15 members visited Sri Lanka last week. During their visit to Sri Lanka, the OTOAI met Minister of Tourism Development, Wildlife and Christian Religious Affairs John Amaratunga, and senior officials of Sri Lanka Tourist Promotion Board (SLTPB) to discuss new business avenues to promote Sri Lanka to Indian travelers. The Sri Lanka Tourism Promotion Bureau also organized a networking session for OTOAI members to engage with Sri Lanka Inbound Tour Operators Association (SLAITO) members to discuss possible collaboration to promote Sri Lanka as leading tourism destination amongst the tour operators in India. 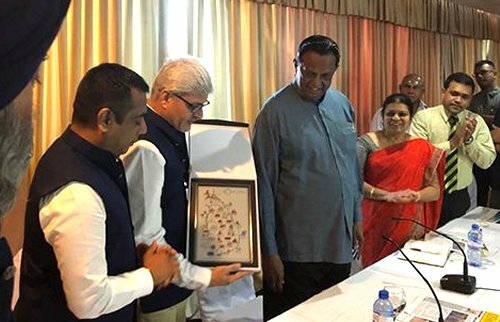 Minister Amaratunga stated that this dialogue may lay the foundation for higher level cooperation to bring large numbers of tourists to Sri Lanka. Further the Minister requested them to hold their convention in Sri Lanka during year 2019 and explore the facilities available in Sri Lanka for this meeting. OTOAI Members positively responded and confirmed to have their convention in Colombo during this year. Mahendra Wakaharia, President of OTOAI, stated that their membership intends to promote segments such as wedding, MICE tourism and entertainment as well as high end leisure products to Indian markets. OTOAI members also met the High commissioner of Sri Lanka in New Delhi before their visit to Sri Lanka in order to discuss the potential for enhancing the outbound travel and tourism from India to Sri Lanka. The Outbound Tour Operators Association of India, (OTOAI) after concluding successful discussions with the Sri Lanka Tourism Promotion Bureau and upon meeting the Minister of Tourism John Amaratunga, have welcomed a request to host their annual convention in Sri Lanka this year.